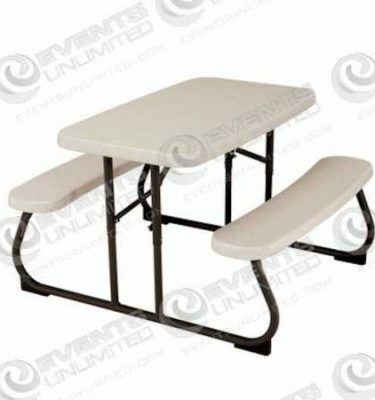 Picnic Table Rental :: Events Unlimited :: All your event needs! Picnic table rentals – we offer a large inventory of picnic tables available for rental for special events, parties, festivals, and gatherings of all types. Our picnic tables are available to rent in several sizes. 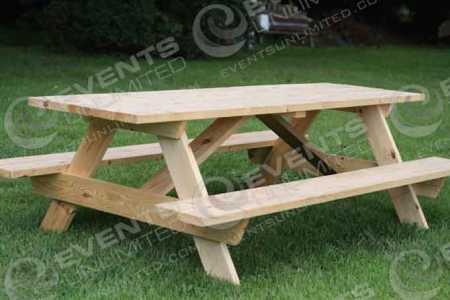 We provide Standard 6′ tables with benches which are most suited for outdoor events. In addition we provide traditional Oktoberfest tables which are 8ft Long. We also offer smaller plastic picnic tables for the little ones! These tables are rented for for weddings, western events, company picnics, carnivals, public festivals, Oktoberfest events, and a variety of other special events.